Across the Globe – wherever these things things have been threatened upon rural communities – or the threat has been realised – outrage follows. Now, that’s not to overlook the fact that the English themselves are just as hostile to the concept of massive streams of government mandated subsidies, being filched from power consumers and taxpayers and used by wind power outfits to literally steal peoples’ homes. The site is a cracker; and leaves no room for error about what is – to those gifted with our good friends ‘logic’ and ‘reason’ – patently obvious: THESE THINGS DON’T WORK – on any level. 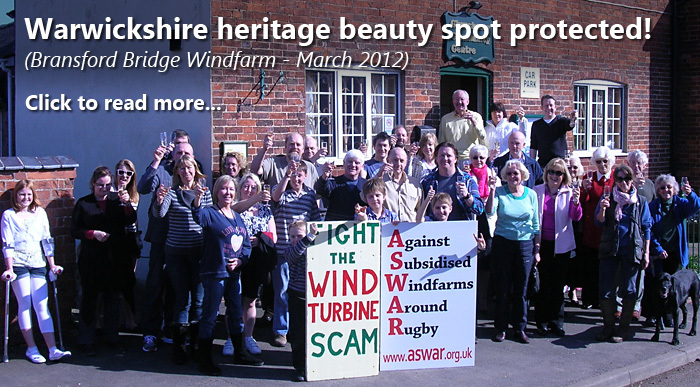 The subsidy farming McAlpine/RES, the same massive group who the BBC’s Panorama accused of setting up the illegal blacklist in the building trade, have put in another application to build four wind turbines in the Warwickshire heritage and wildlife beauty spot of the Upper Swift Valley. This new application, along with bribes for the NIMBYs, will not only receive the same degree of local rejection on the same grounds as the earlier proposal was unanimously rejected but with the encroachment of an intense windfarm landscape in the last two years, there are even more planning reasons now for rejection. There is no rational energy or economic reason in favour of these wind turbines that steal some 15% of everybody’s bills and stuff the subsidies into the pockets of speculators and rent-seeking landowners – 10% (33% by 2020) in green taxes plus a proportion of the new infra-structure cost of linking turbines to the grid. How can it be right for companies to be paid twice to three times the going rate for electricity when they are damaging the environment and communities? The alarmist propaganda in favour of wind turbines relies on the argument that they reduce the UK’s 2% of the world’s man-made CO2 emissions and thereby infinitesimally reduce global warming. But actually the intermittency of wind makes it necessary to have fossil-fuel back-up spinning the whole time for the National Grid to maintain an even voltage; (electricity cannot be stored) therefore wind turbines don’t even save CO2 anyway. (also the scientists say that GW has not increased since 1997 – seventeen years of stand-still). It is surprising that anybody can support this energy policy that is making this nation globally uncompetitive, driving manufacturing jobs overseas and ordinary people into fuel poverty (a record number of people died from cold last winter), while attacking the asset values of innocent property owners and killing birds and bats (scientists say 900,000 bats are killed by wind turbines every year). “We are all born ignorant, but one must work hard to remain stupid”. Those that parade as ‘journalists’ – especially at wind-worship cult-compounds – like The Guardian, the BBC – and here at Fairfax and the ABC – they’re clearly working very hard; with obvious success. But – despite long, sweaty sessions inside their editorial bunkers, aimed at ensuring the public remain blissfully ignorant, too – the FACTS keep bubbling to the surface. 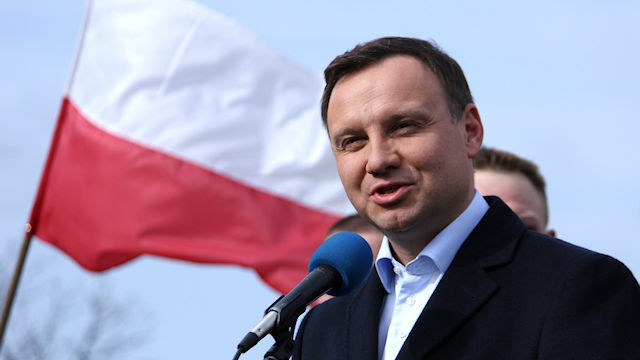 Andrzej Duda: out to head-off a Polish wind farm revolt. The recent weeks have brought many intense encounters with people across Poland in the context of this presidential campaign. There have also been numerous opportunities to discuss the maladies encountered by citizens and their everyday worries. It has become apparent that the siting of wind farm developments gives rise to frequent protests, which are heard in hundreds of municipalities in our country. Poles complain that their voices are being ignored, and large wind turbines that are placed excessively close to dwellings not only ruin the landscape, but also cause a serious reduction in the value of their properties. Furthermore, they bring attention to numerous procedural irregularities. These were also identified by the Supreme Audit Office (NIK) in its July 2014 report. I am sorry to say that the governing coalition of the Civic Platform and Polish Peasants’ Party have successfully prevented, during the last several years, the adoption of measures intended to properly regulate the matter of where wind farms are located. I do recognise the importance of the issues addressed here. Therefore, I declare that, if I am elected to be the President of Poland, I will propose a legislative initiative to introduce safe setbacks of wind parks from people’s dwellings, ban such developments in municipalities where no zoning plans are currently in place, and, most importantly, to ensure effective participation of society in ongoing administrative proceedings. Setting out with a sensible policy, built on common sense and human compassion, Mr Duda was duly elected. No surprises there. STT hears that hundreds of Australian rural communities are gearing up, too. Given that our political betters are encumbered with ‘tin ears’ and ‘flat feet’, it’s now down to every man, woman and child to fight for what’s rightfully theirs: the ability to live, sleep in and otherwise comfortably use their very own homes. Everyday people all over the world of all ages and ability are strongly saying NO to the futility, lies, health and economic impacts from the spread of wind turbines in rural regions. You don’t have to speak a common language to understand the detrimental impacts on communities, to the people and on our ways of life. Impact after worsening impact are not restricted to English ‘speaking’ countries and this is wind industry polished propaganda. It evidences the effort to cause insidious divisiveness locally and in the global arena. Good people stand up and calmly fight industry aggression and lies such as; ‘what you can’t hear can’t hurt you’, communities are impacted by ‘nocebo’ and ‘anti-wind’ sentiments influenced by introduced fears or that noise we hear is the wind in the trees. Rubbishy unbelievable lies so important to wind energy supporters don’t stand up under the scrutiny of a Senate Inquiry. A patch of groomed and allocated ‘green space’, a Park in the city seems more important to city folk than our natural habitats and wide open spaces being studded for over ten years in Victoria as carelessly as a confused over pierced pre teen and with as little purpose. The Victorian government blinded and confused is open for renewable business. The new Victorian Logo coldly screams business, but thirty or a thousand turbines will not ‘save’ our planet from the inevitable consequences of profits at all costs. Thirty ‘renewable’ jobs at Keppel Prince will not resolve Labors catchcry ‘jobs’ crisis. And do not believe the lie that more turbines create more jobs or will lower electricity prices. The bills just keep getting higher and more unaffordable and like a snake eating its own tail, endlessly costs jobs. ‘Wind farmer’ and ‘wind farm’ are improper descriptors for this ‘big business’ of profiting from the harm of locals and govt. subsidies. Wind energy is not renewable nor green it is just another uncaring self-regulating business, with nothing to do with honest farming or agriculture or creating electricity to benefit anyone other than shareholders. Concerned residents and citizens, Senators, scientists, economists, engineers, doctors, acousticians etc are all calling for change and modification to protect people and habitats from wind industry harm. 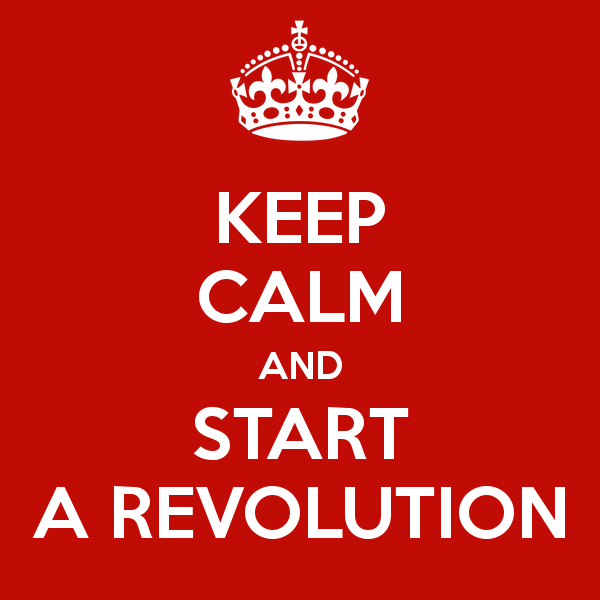 Yes, keep calm and start a revolution. Authority drunk governments have greedily allowed themselves to be taken over by the Green coup and are imposing anti-democratic wind power and farcical pv solar scams on publics all over the world. People are being forced to pay for toy energy schemes to the tune of multiple trillions of dollars and euros. Whole economies are driven into the toilet with unpayable loans, junk loans, foisted upon whole countries; Greece, now, to pay for this expensive toy energy. If you wondered why your power bill suddenly went through the roof, it is because these crooks, the renewable energy greenies, have insinuated by fiat the rules that the toy energy be paid for BEFORE the reliable conventional forms can be purchased at normal market prices. When rate and tax payers begin to realize what this scam is, they will withdraw the subsidies that the renewables must have to exist and at the same time clean the favoritism rules out of their energy codes. THIS IS THE REVOLUTION! The Revolution has already begun, as the truth of what we experience here is seen to be experienced everywhere these companies and their grubbing groupies invade, uttering their lies and their sniffling when challenged by the people they thought were nothing more than slaves to their self-righteous sniggering approaches, we come together across the globe and present to the world what they have tried so hard to hide, cover up and deny. Today people with morals and ethics are coming together to let others know of the scums behaviour and we will prevail and while the road is long and hard, and we have to be watchful for the slime who have infiltrated the corridors and offices of those who would help us try to stop the progression and take over of our lands, lives and homes – we will never lie down and accept their tactics, we will disinfect those corridors and offices with the truth and in doing so clean our countries off the disease being rort on the honest hardworking citizens. How anyone with the ability to read and reason can continue to accept the lies that continue to spew from the mouths and pens of these ‘snake oil’ sales people and their followers is a mystery, but they will come to understand how they have been fooled, manipulated and taken advantage off. Even those in the media and Governments who have found themselves soaked in the lies will come to see how much better they feel once they have cleansed themselves of the stench of rotting ideology and greed. Yes the Revolution has begun, and we can ensure it continues to gain strength by continuing to speak out, keeping up the pressure and not stop caring by offering a voice and hand to those who need it. It seems the occurrence of subsidy-farming ‘McAlpines’ could possibly be a global phenomenon. In Australia, we know too well that Ken McAlpine is the public face of Vestas. I wonder if the UK’s McAlpine aligned with RES engages in dishonest, defamatory, inflammatory social media activity too?